I met Paul the first day of my freshman year at Manasquan High School in New Jersey. We were in the same homeroom, and over the course of our four years at Manasquan we had many classes together. He was ALWAYS smiling and you could always depend on him t have something funny to say. We went our separate ways after graduation and I lost touch with him. I found out several years later that he was a member of the FDNY which was ironic, because I had become a volunteer firefighter (and still am) right after high school. I never knew Paul had any interest in firefighting. A few years prior to his death we ran into each other and renewed our friendship. We would run into each other from time to time and mostly talk about firefighting. He still had a smile and a presence that could light up a room. When I heard he had been killed, it was like a small part of me died. 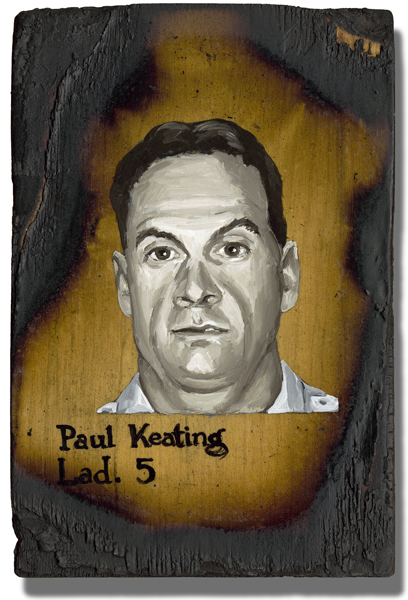 Paulie is still fondly remembered by all of us he went to school with. There is now a “Paul Keating Memorial Scholarship” , that was established by our class, awarded every year to a graduating senior at Manasquan High School.